Audiences will love the classic yet fresh feel to this lesser known Grimm Brothers tale. Prince Beauregard is a selfish, arrogant young man. When he strays from the path while on a trip with his brother Nathaniel, Beau meets a surly dwarf who isn’t happy with how Beau treats him. To teach the prince a lesson, Dwarf turns him into a bear until he can learn to forgo selfishness and conceit. As a bear, Beau manages to survive the winter by finding refuge with Snow White, Rose Red, and their mother, Lady Flora Wentworth, who take him into their humble forest cottage and befriend him. But as soon as spring arrives, Beau leaves their kind home, secretly vowing to find the dwarf who cursed him. 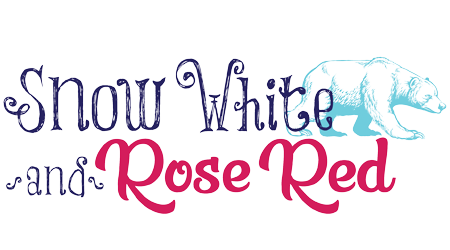 Read more...That summer, both Snow White and Rose Red have separate run-ins with the very same dwarf. Though each of the girls ends up saving his life, the Dwarf is rude and ungrateful. When Beau finally encounters the dwarf, an act of selflessness to protect the two sisters breaks the curse and restores him to his princely self, albeit now kind and generous. Budding romances between the two princes and the two Wentworth sisters guarantees a happily-ever-after ending in this sparkling tale.